I've begun hardening off the larger seedlings. Should I call them seedlings anymore? They're pretty big now, maybe I should start calling them transplants. They're placed in a sheltered area on the roof where they get a little sun, but mostly shade, and some protection from the wind. The first 2 days I left them out for 2 hours, the next few days for 4, now I just put them out when I get back from work and take them in before I go to sleep. I'll skip a day if it's raining. The next step will be to put them out in the morning and bring them in overnight. Once they can stay outdoors all day and night I'll wait for a cloudy day to plant them in their permanent home. If I don't want to wait for a cloudy day I can also just wait for sunset on a sunny day. My target planting date is mid May, but if evening temperatures warm up sooner I'll plant them sooner. Right now evening temps are bouncing around the 50s, once they reach the 60s the plants will move to the roof permanently. Since I've been leaving them outside I haven't noticed a lot of vertical growth. Stems, however, are getting much thicker and sturdier. Root growth had sped up as well. Roots are starting to circle the bottom of the cups so I'm going to have to pot them up one more time. I definitely started seeds too early this year. I underestimated the effect of the grow light. Next year I'll start seeds in the 3rd week of March instead of the 2nd. 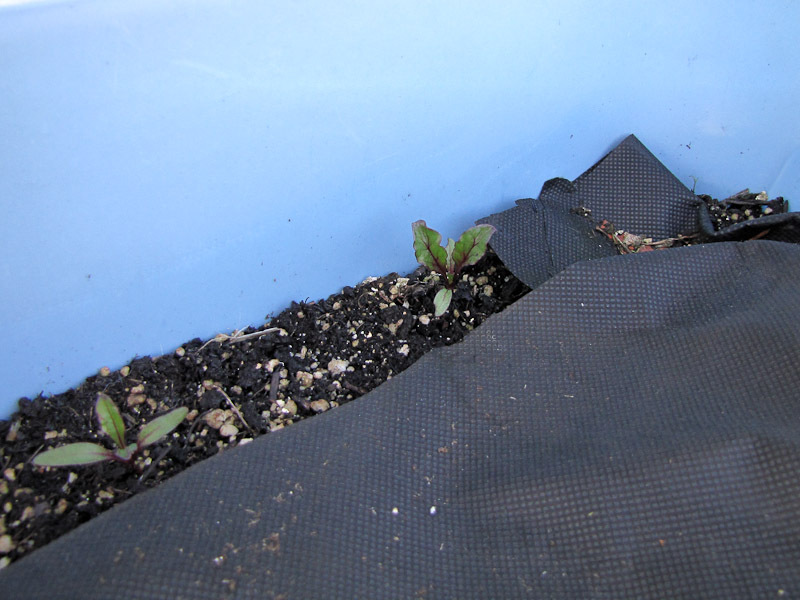 On a side note, the some of the seeds I directly sowed early March have sprouted. 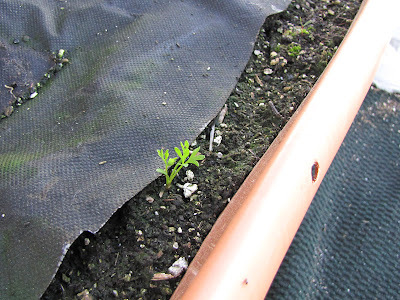 When there was that cold snap late March, a continuous week of below freezing overnight temps, I had assumed the seeds would never germinate, so seeing them appear is a pleasant surprise. 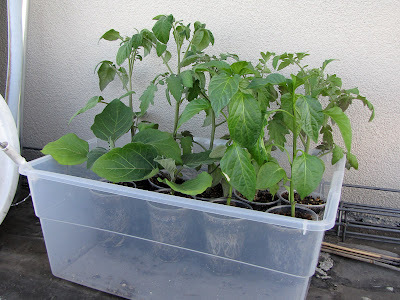 I doubt I'll harvest anything, there's just not enough time for them to grow before I have to pull them out, but they have given me ideas for the future.